Children’s Faith Formation classes for grades K thru 5 on Thursdays during the school year from 3:30 to 4:30PM. Families interested in registering their children should fill out the registration form below and return them to the parish office. 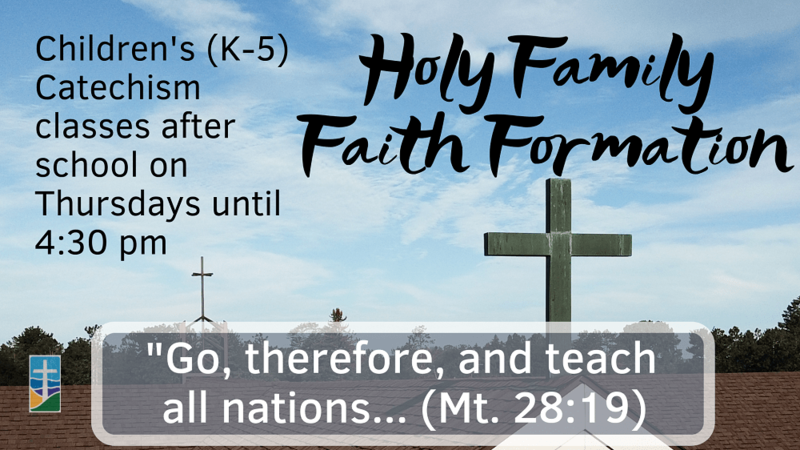 There is a $20.00 registration fee for K-5 students to help defray the cost of the students Faith Formation materials. If for any reason a family finds it difficult to afford the registration fee and for further information, please contact me, Rick Copland (Director of Religious Education)at 989-739-9511 or rcopland @hf-sh.org .